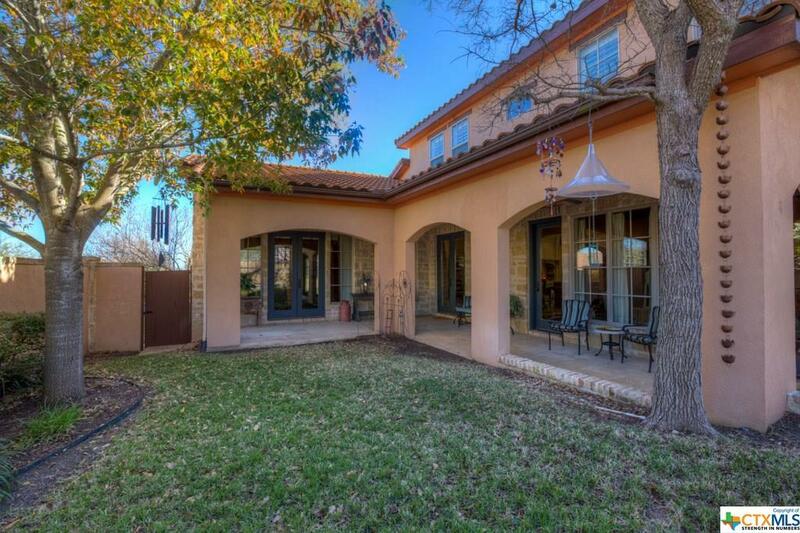 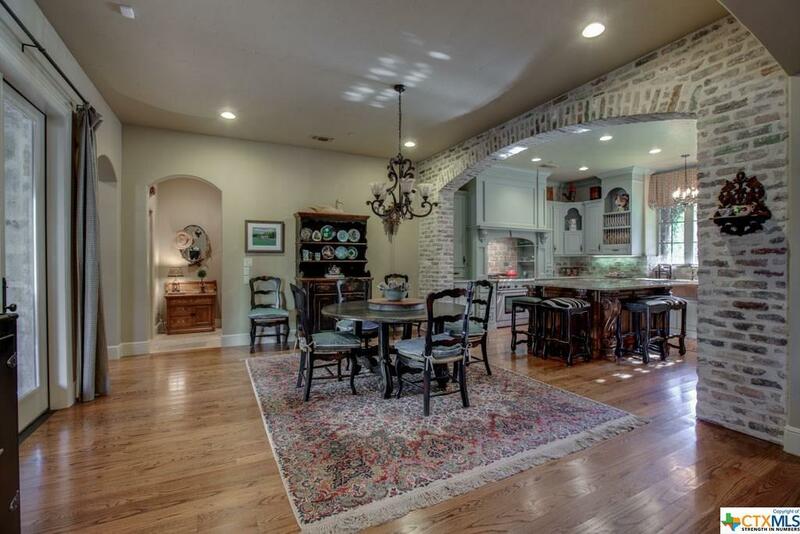 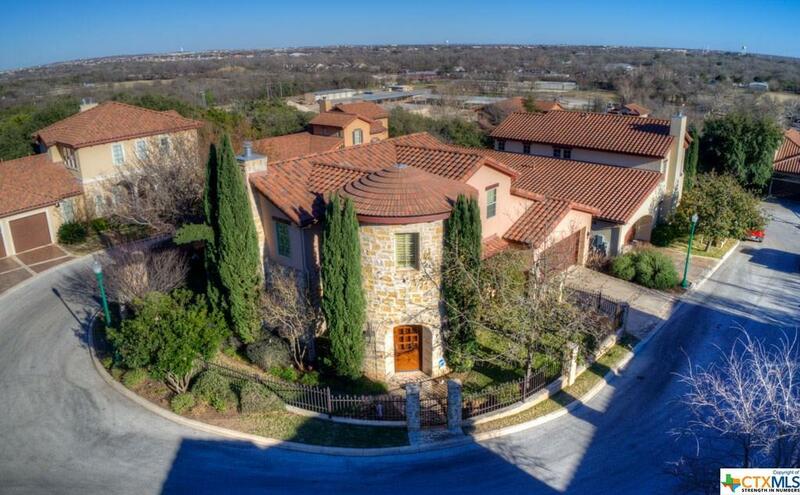 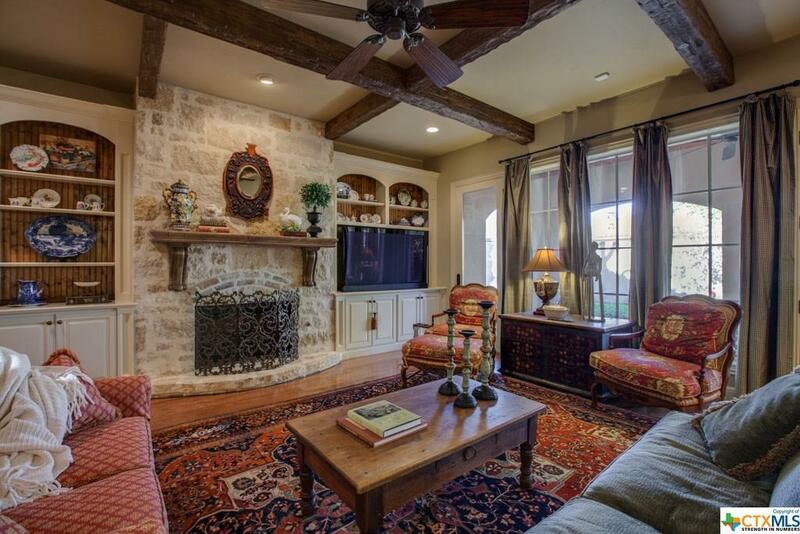 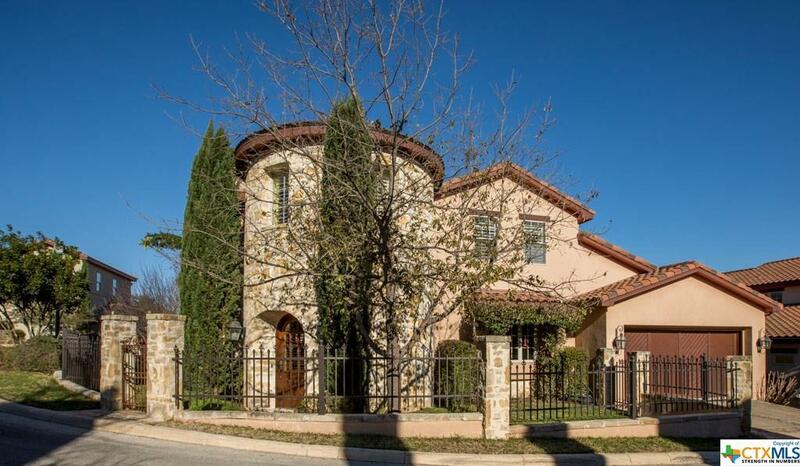 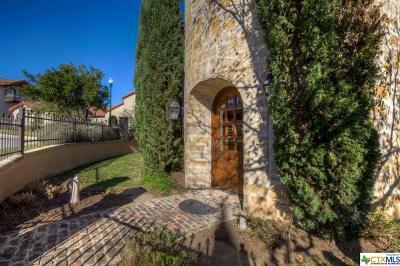 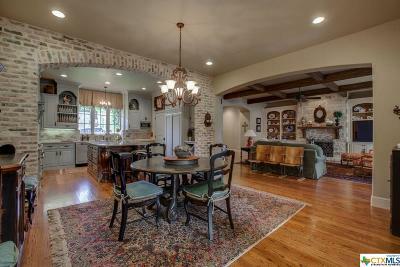 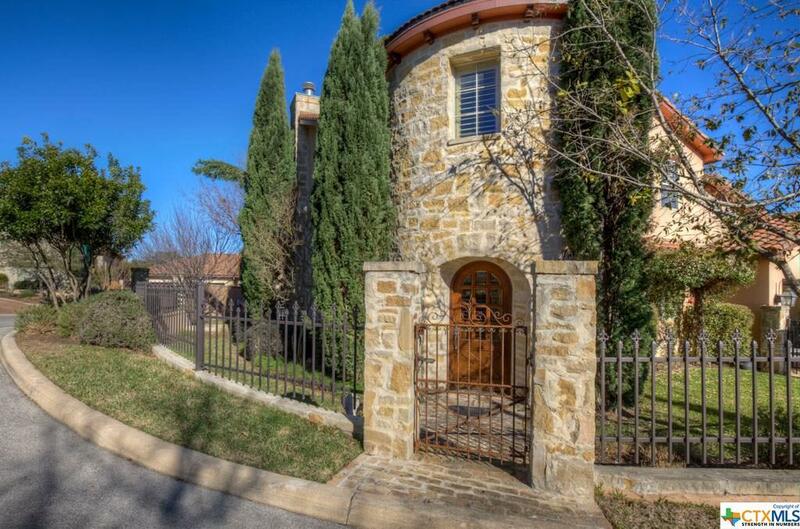 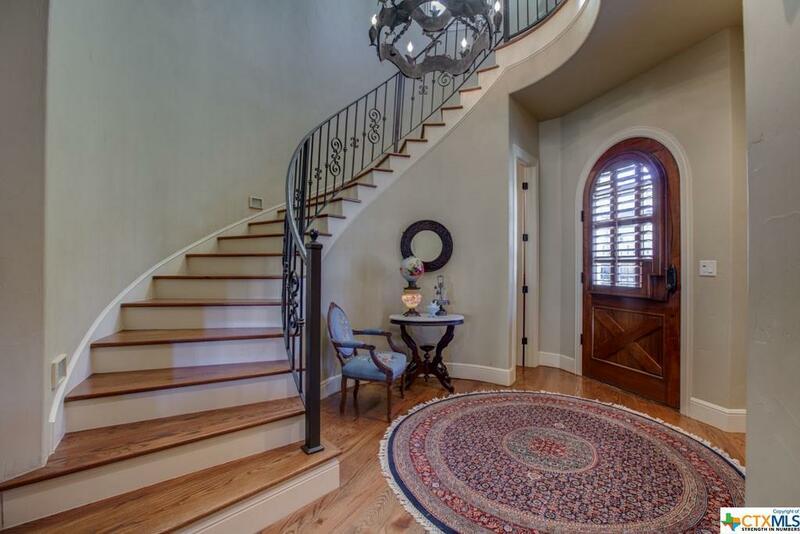 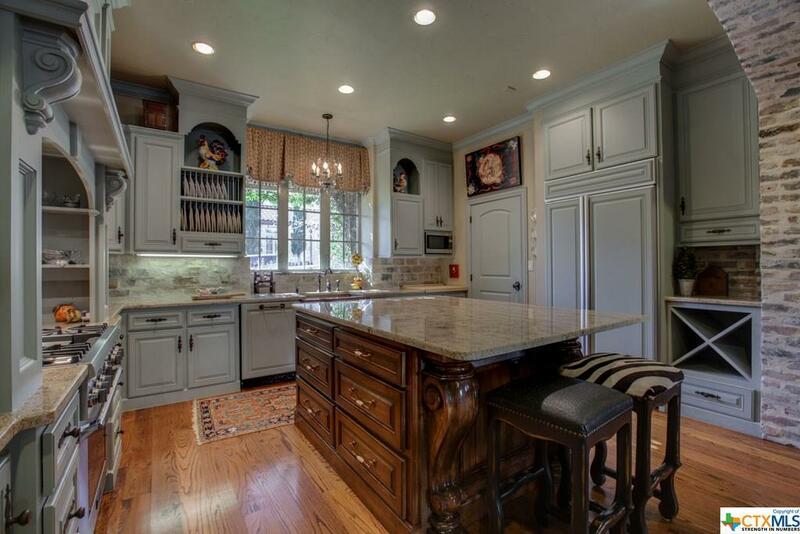 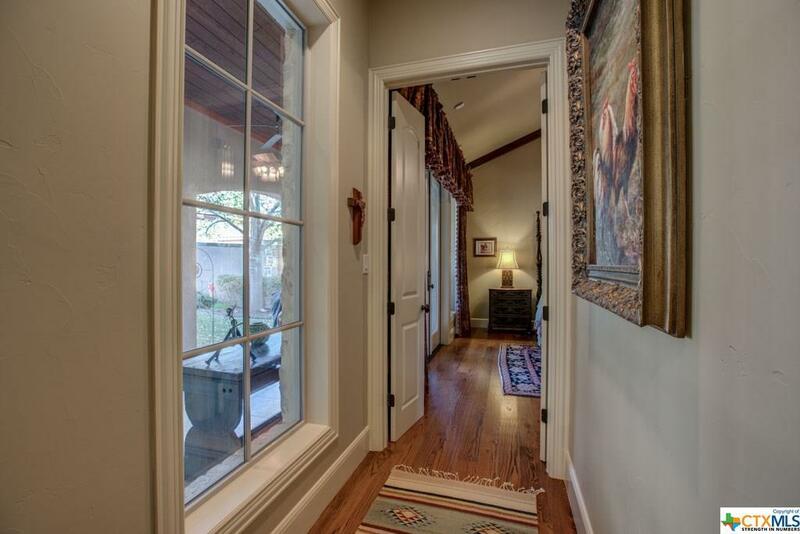 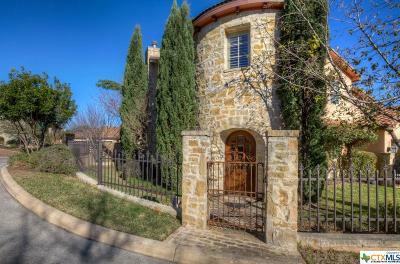 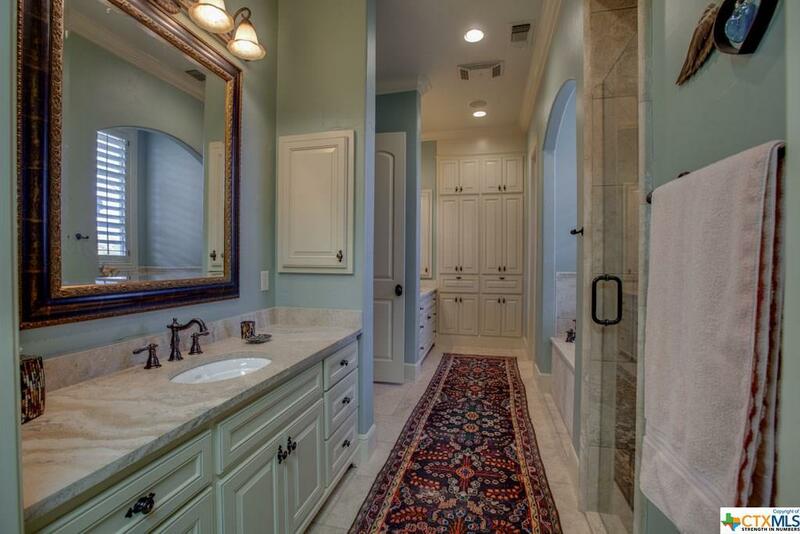 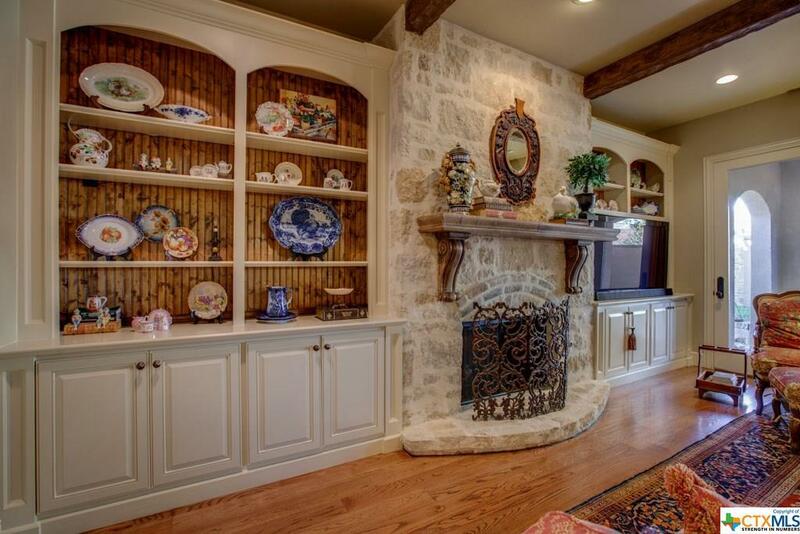 Gorgeous Tuscan inspired Custom Home with Classical Design located inside the loop, in upscale Tuscan Ridge. 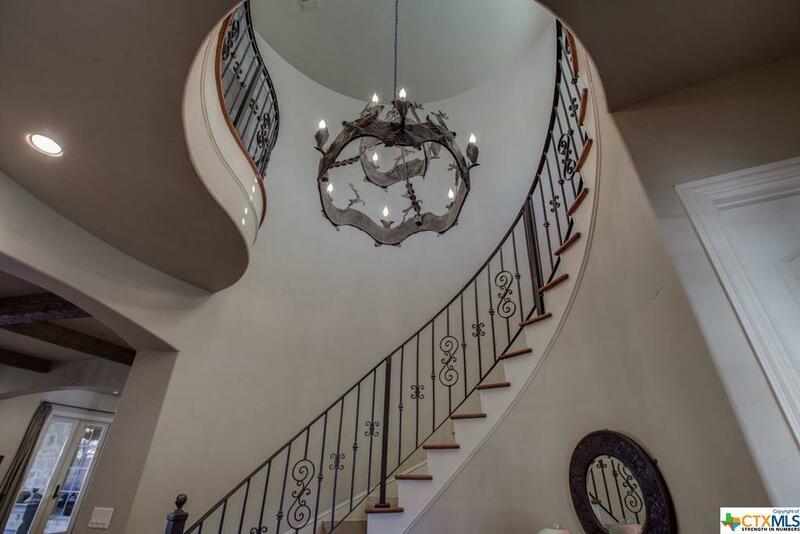 Enter this spectacular showplace at the stone tower which encompasses a dramatic spiral staircase, and leads into the beautifully appointed living areas. 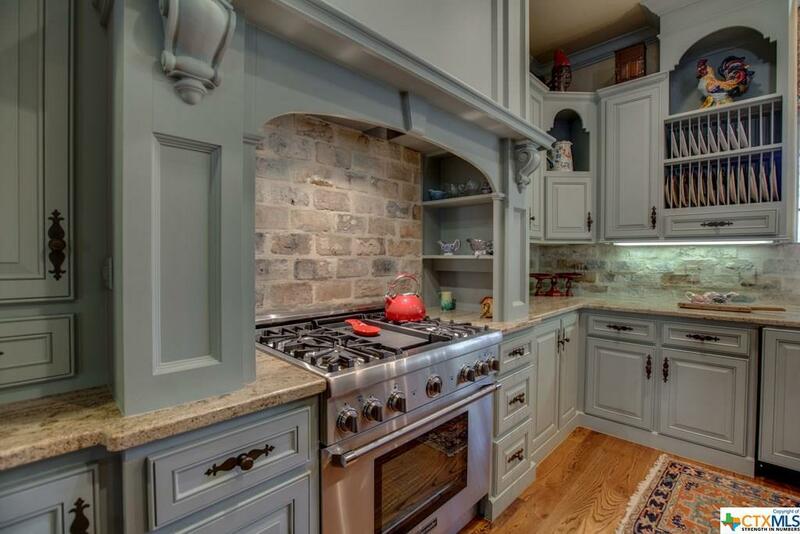 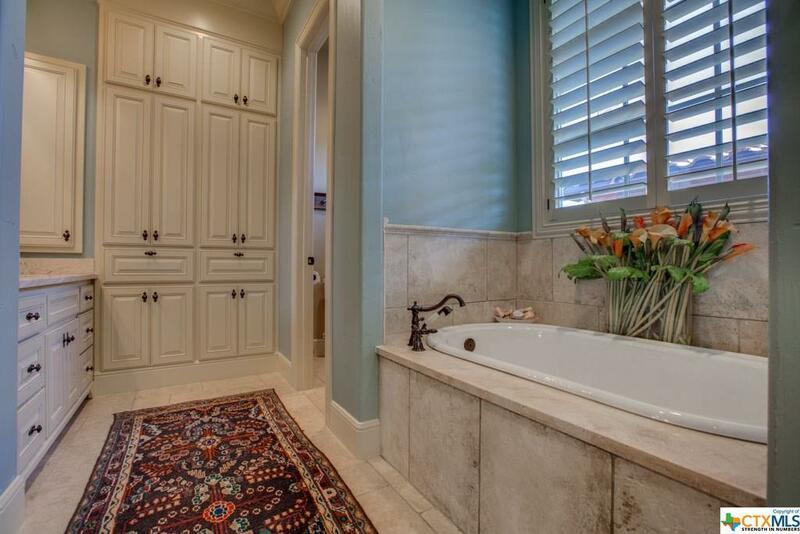 No attention to detail was spared in this home: Gas coach lamps, beautiful custom cabinetry, thermadore gas range and built in refrigerator, plantation shutters, custom window coverings, upgraded granite, spacious rooms and unparalleled finishes throughout. 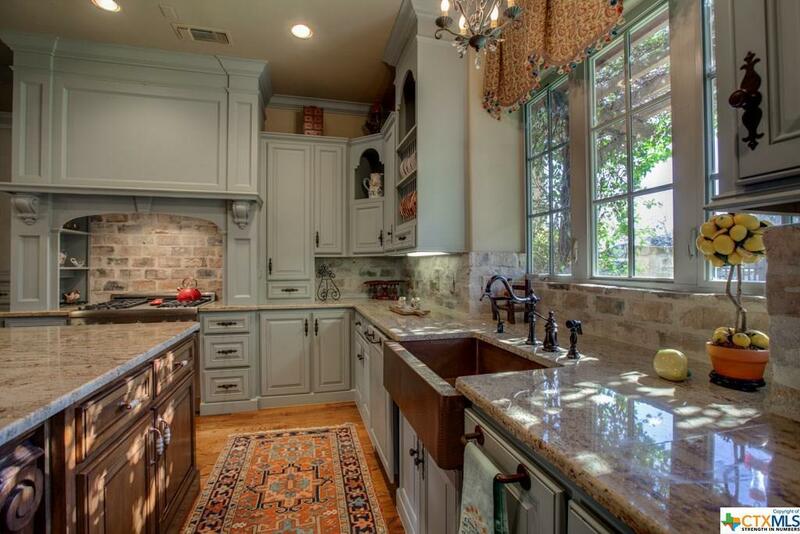 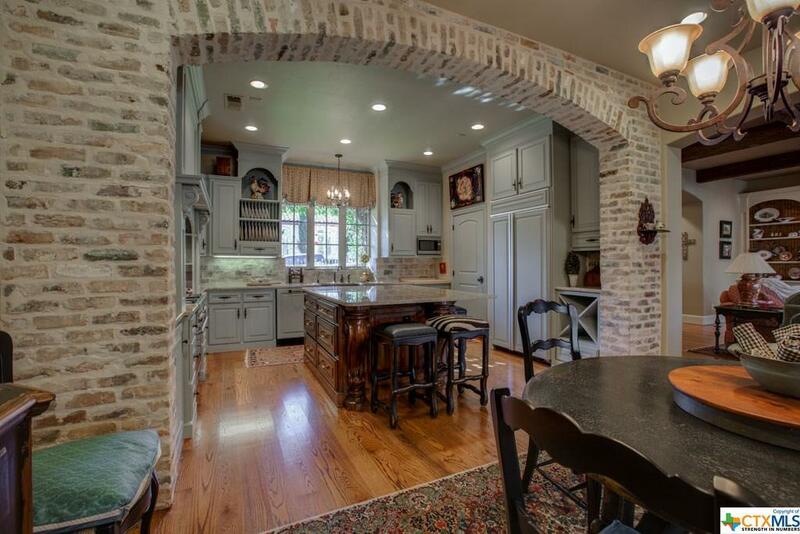 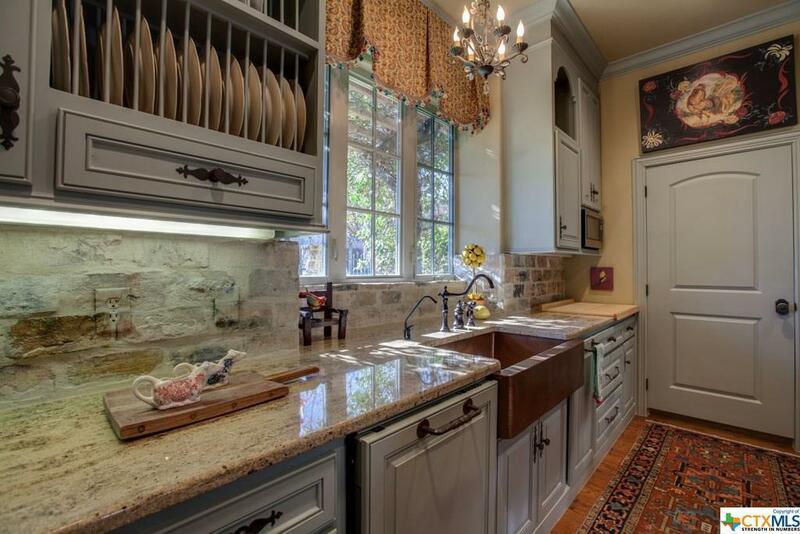 The lovely gourmet kitchen flows gracefully into the dining and living areas. 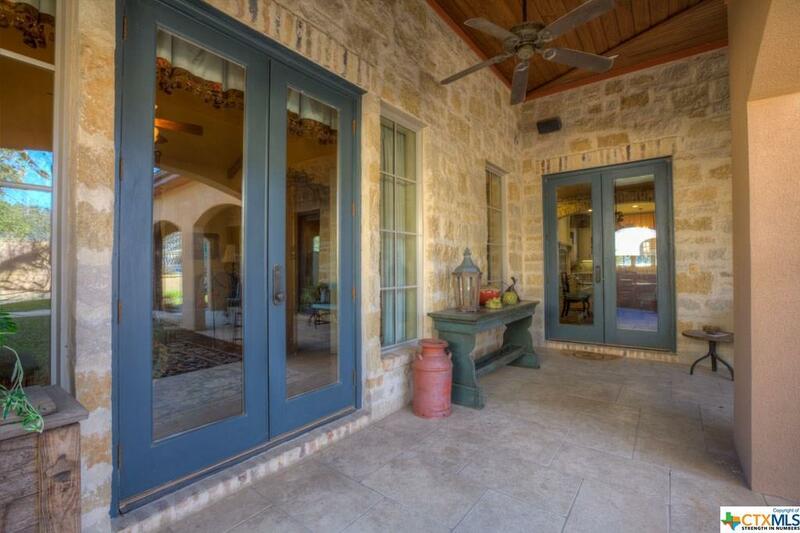 Enjoy the privacy of the peaceful outdoors with outside access from the living, dining and Master suite areas. 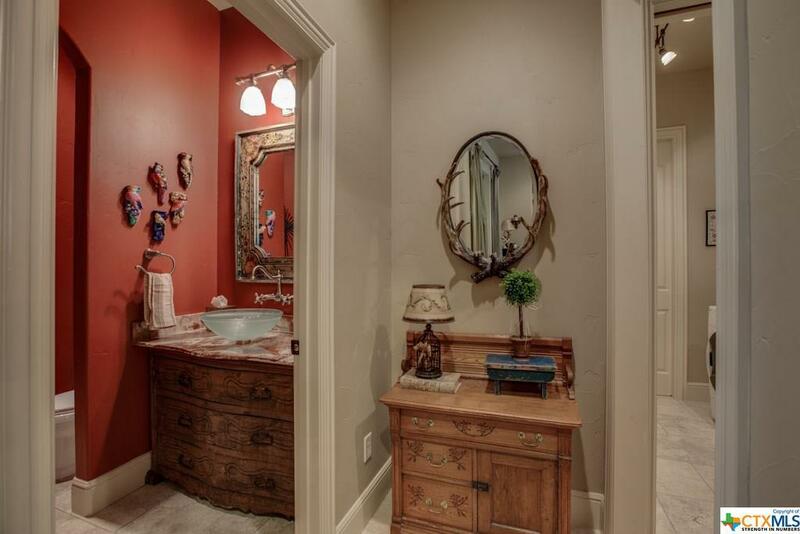 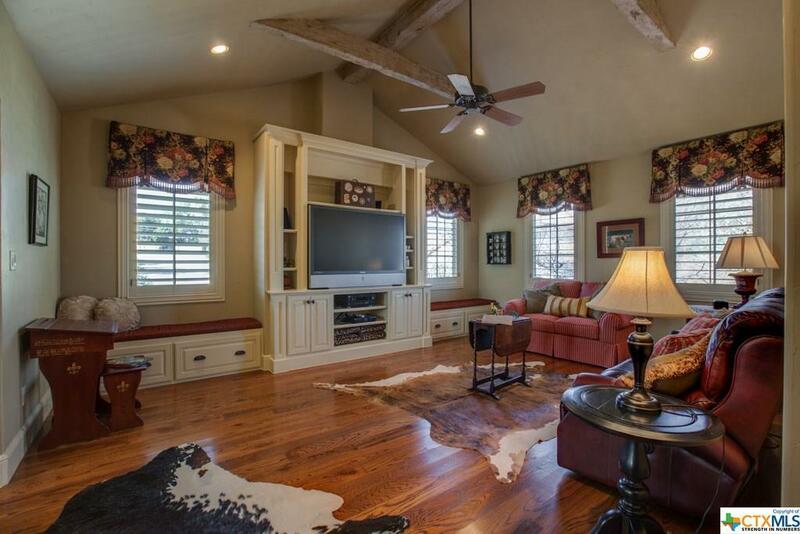 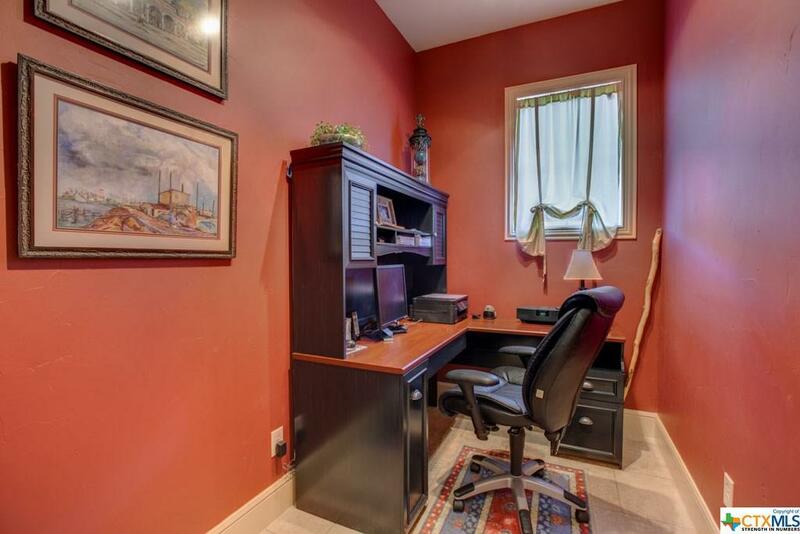 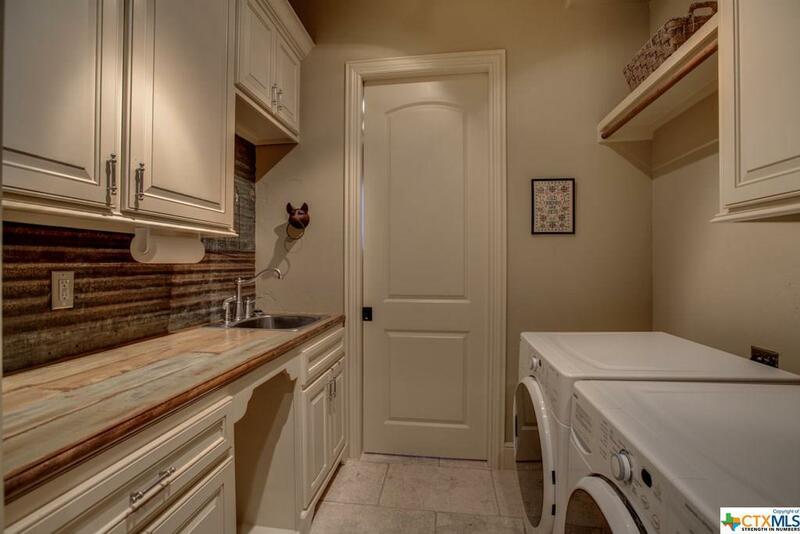 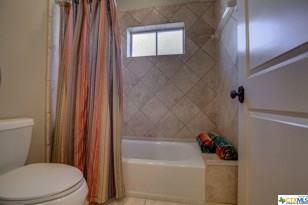 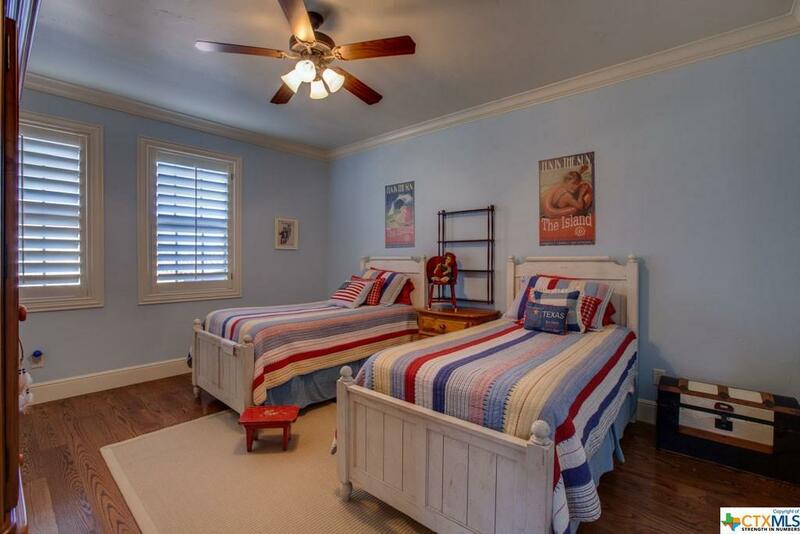 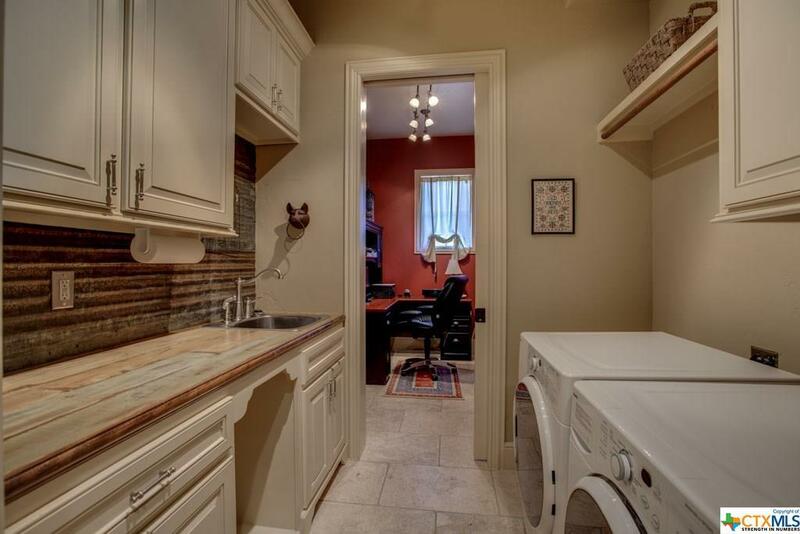 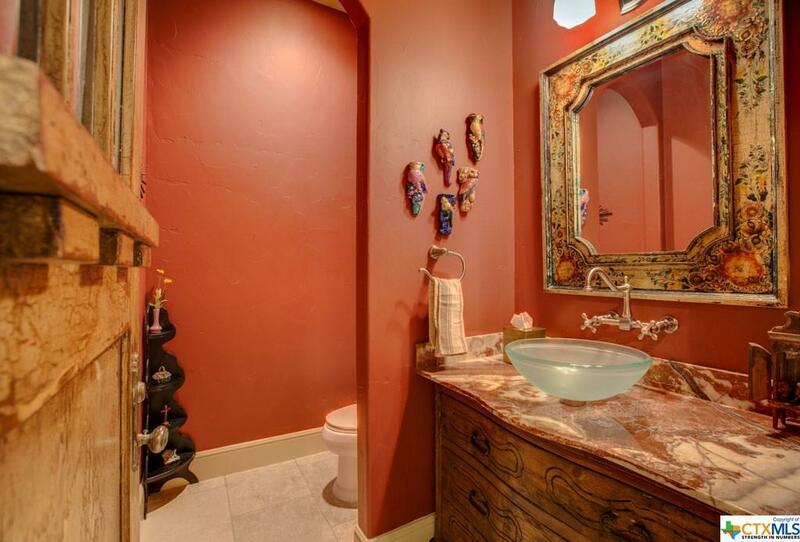 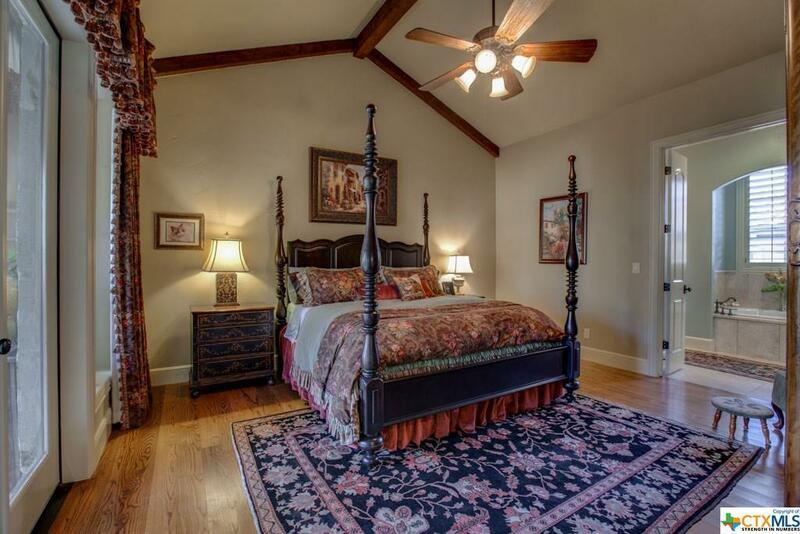 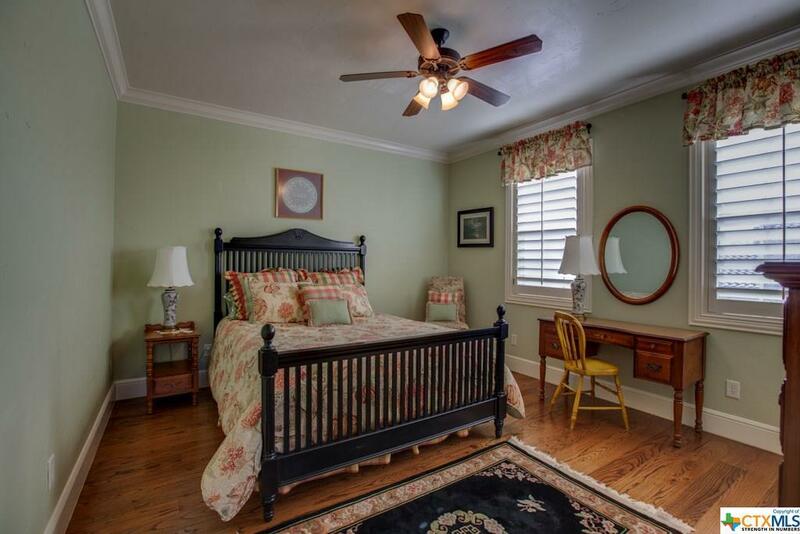 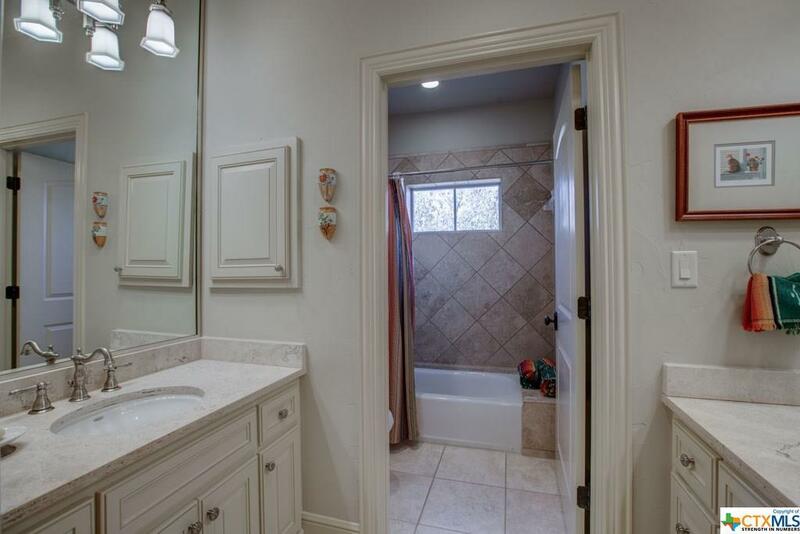 The Upstairs features a large media room, two bedrooms and a large bath with 2 separate sink areas. 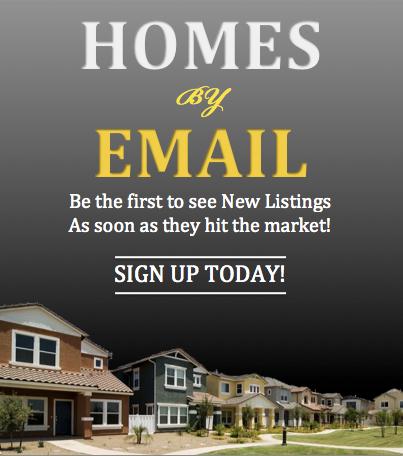 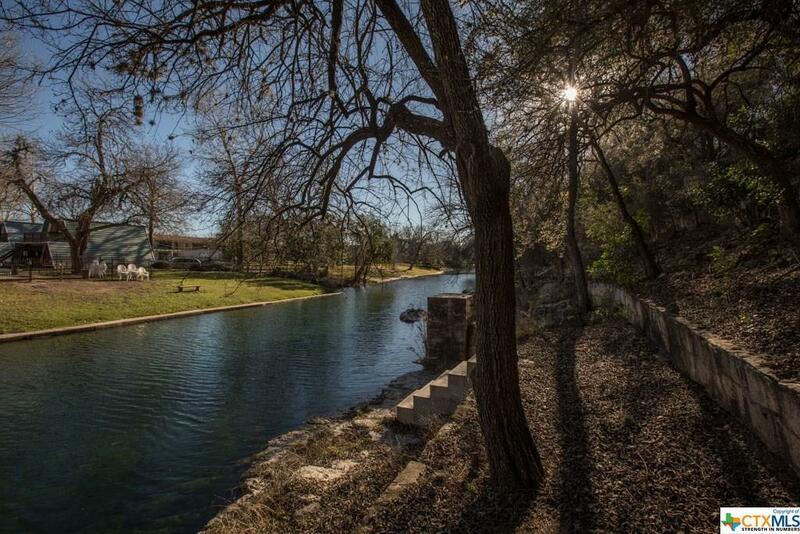 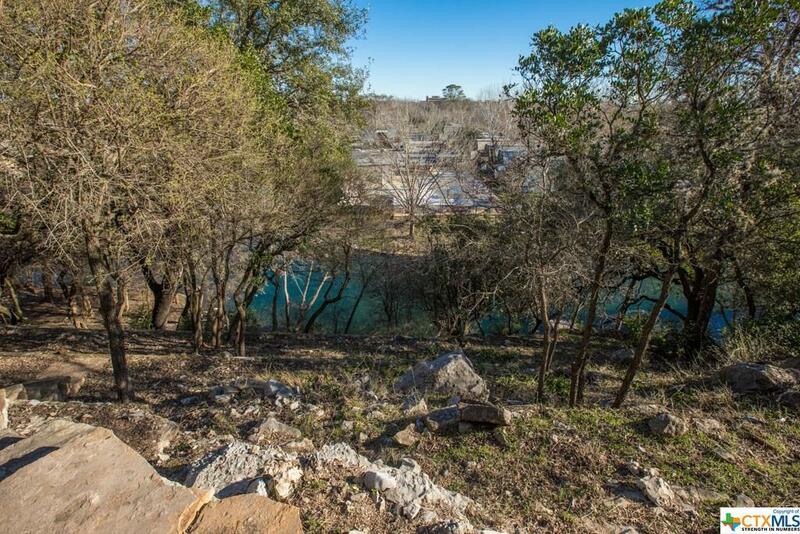 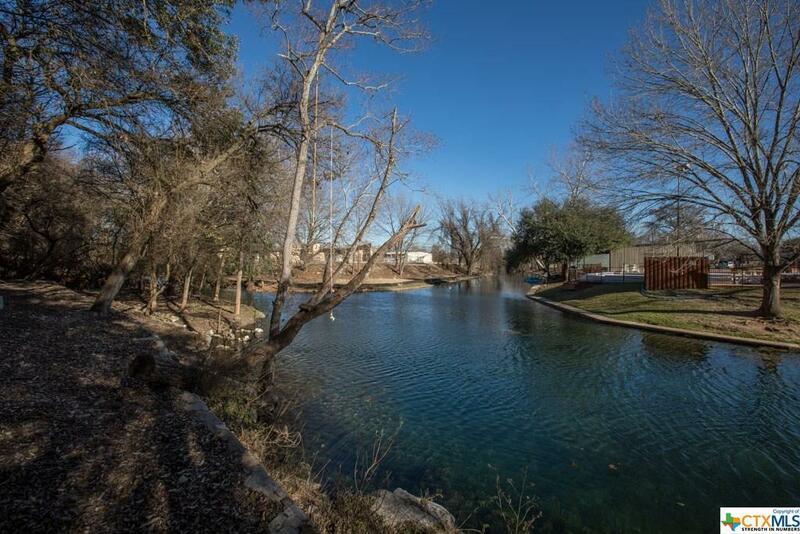 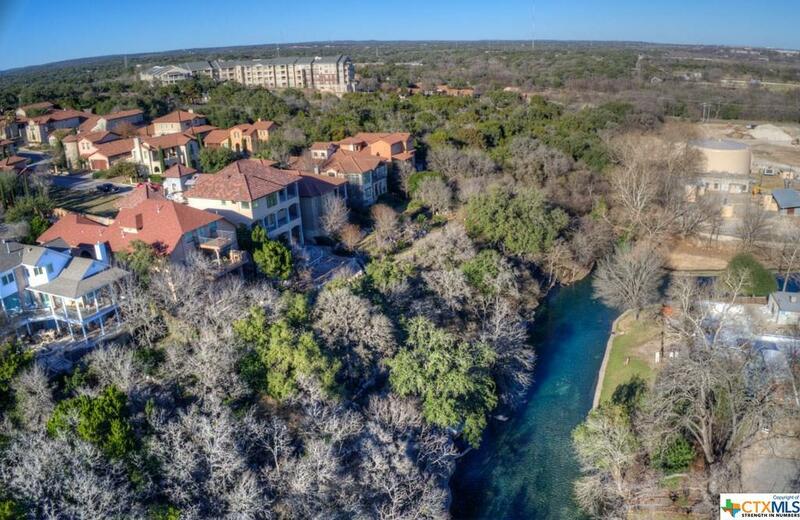 Exclusive Private access to the Sparkling Comal River is only steps away. 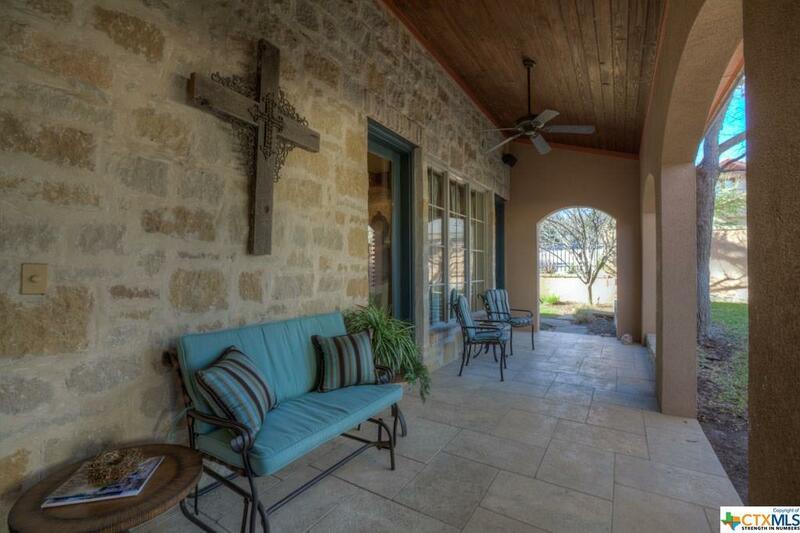 This home is truly a Masterpiece.